013 is the year when most technology companies became megalomaniacs. They are competing with one another who will break new grounds in terms of display size. Although they are multifunctional, huge smartphones are certainly not to anyone’s taste. If you are of the people who’d prefer a compact 3.5-inch smartphone then stay with us. 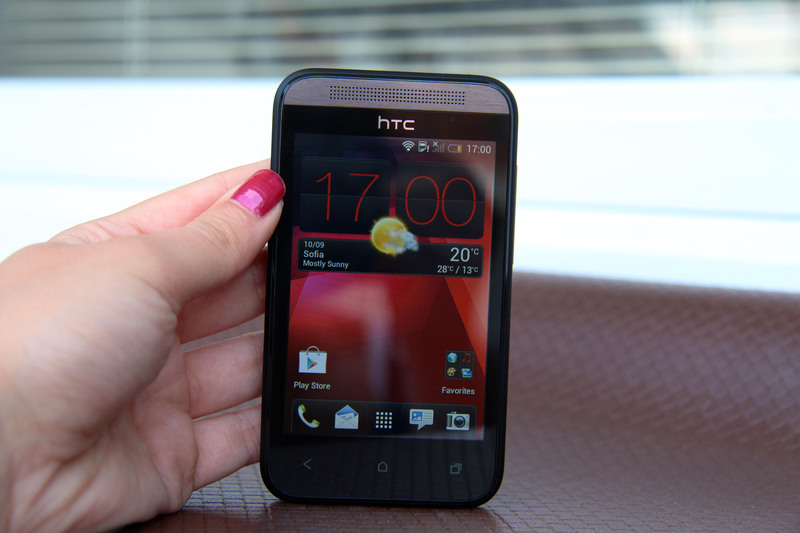 This is HTC Desire 200. 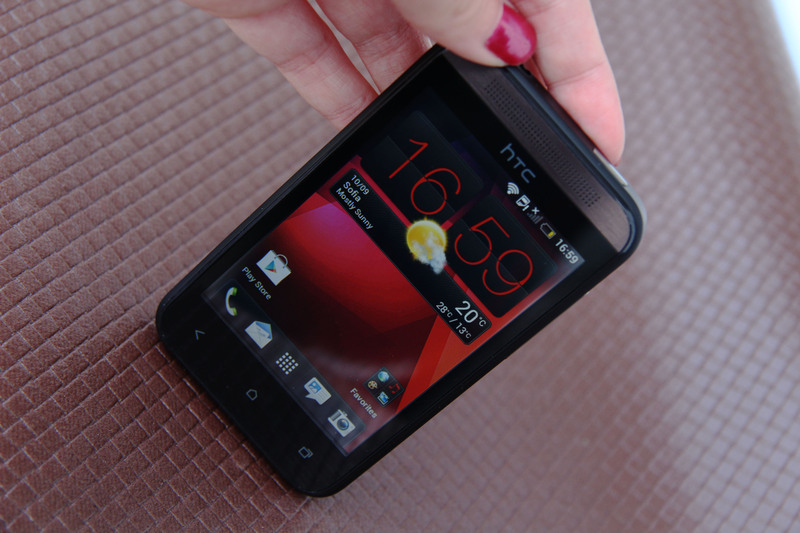 As you can see, this is one cute and compact handset. It is very comfortable to hold and I think ladies will appreciate it the most as sits perfectly in small hands. This is an entry-level smartphone, which is mostly targeted at young people. The body is small but quite thick at 0.47 inches. The material used here is plastic with a patterned finish in order to prevent it from slipping out of the hand. The earpiece is covered with HTC’s distinctive grill. 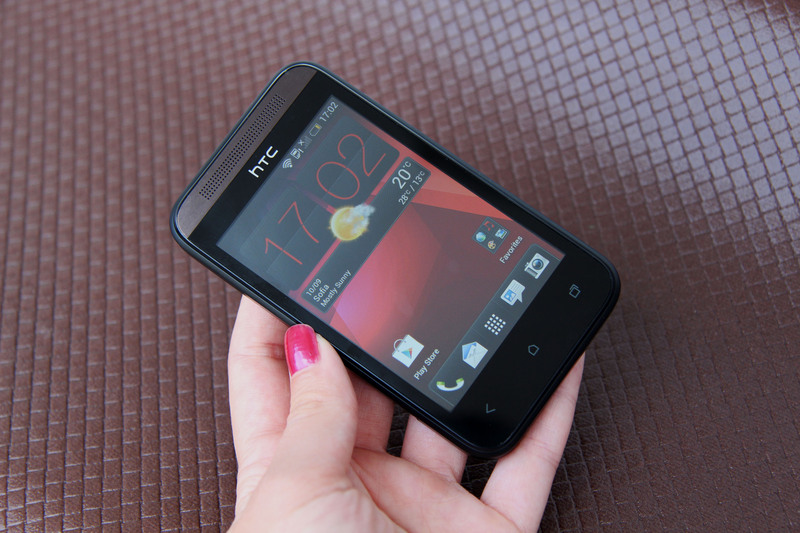 HTC Desire 200 is available in black and white. Thе 3.5-inch display here delivers 320×480 pixel resolution, which results in 165 ppi density. The colors and contrast are decent but what ruins the picture is the really low resolution which makes it quite pixilated. The capacitive touchscreen supports multitouch and is very responsive, which is also the case with the three capacitive keys below the screen. Performance and productivity are handled by Qualcomm Snapdragon S1 processor, working at 1GHz frequency. It quickly copes with basic menu tasks and light browsing but don’t expect much, especially if you often play games and watch high-definition videos. This is an entry-level phone and it’s just meant to handle mostly basic tasks. System processes are provided with 512MB of RAM. 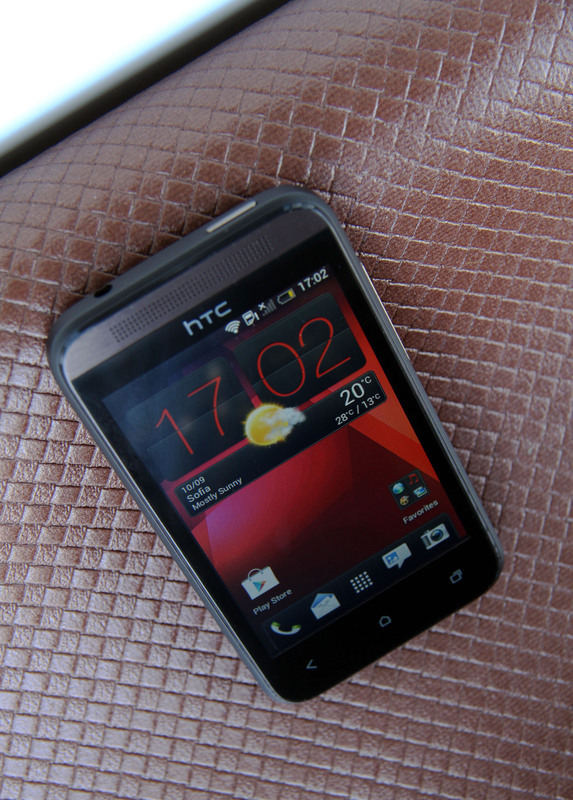 HTC Desire 200 comes with Android 4.0 Ice Cream sandwich and also HTC’s a bit outdated Sense 4. The home screens are pretty simple and clean. The smartphone is provided with 4GB of internal storage but only 1GB of it is user-available which limits the amount of apps and files you may use on it. At least there is micro SD slot for up to 32GB cards. 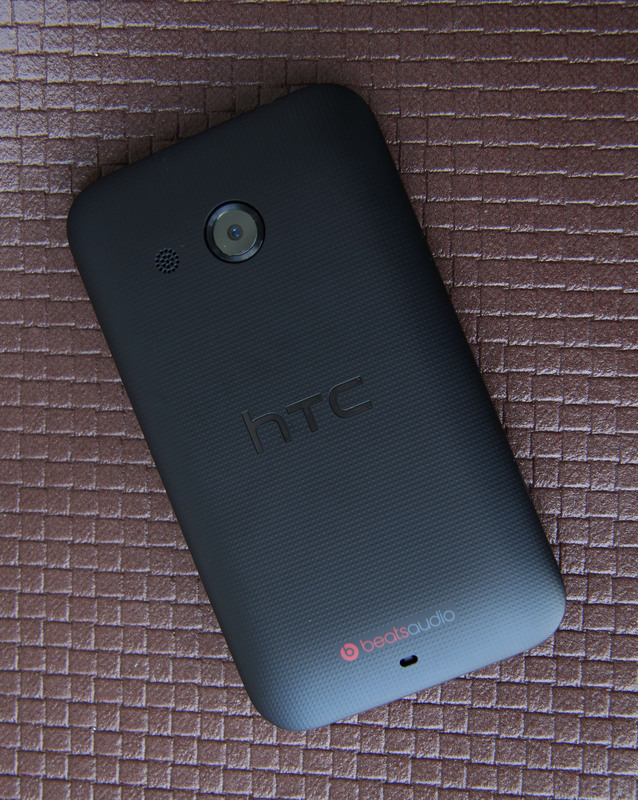 The sound that comes out of HTC Desire 200 is boosted by the Beats Audio technology. It is clear and loud but quite flat. The camera is only one. It is placed centrally on the back and has a 5MP quality. Below the plastic back panel a 1230mAh battery piece is placed. It offers enough juice for around 7 hours using it for talking and surfing on 3G or up to 800 hours on stand-by.